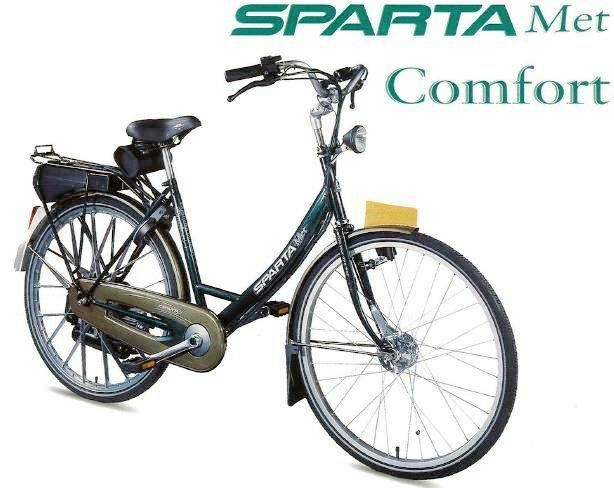 The Spartamet was produced in the Netherlands from 1985 to 1999 by Sparta Bike Company. It is a 26” bike with 1 30cc gasoline auxiliary engine capable of speeds of 25-30 km/h. The German version was made by Hercules and is called a Saxonette. In 1982 Sparta stopped production of mopeds and in 1985 started producing a two-stroke motorized scooter, the Spartamet. Spartamet was a collaboration between the bicycle manufacturer Sparta and the engine manufacturer Sachs . Spartamet was an important and thriving sales component for Sparta. In 1990, the total annual production of Spartamets was 20,000 units. However, in 1999 there Sparta was a problem with the supply by Sachs engine blocks. Sachs had just been taken over by Winning Wheels which housed the rival union Fietsenfabriek. Production of Sachs engines ceased. However Winning wheel promised to outsource the engine production to an Italian company. Unfortunately, the promised resumption of the supply of engine blocks was delayed. Sparta turned to China and a manufacturer copied the Sachs engine and began producing them. Sachs considered this as an infringement of their trademark and patent rights and filed a lawsuit. In September 1999, the Zutphen District Court decided it was a trademark/patent infringement. Sparta immediately stopped manufacturing the Spartamet. 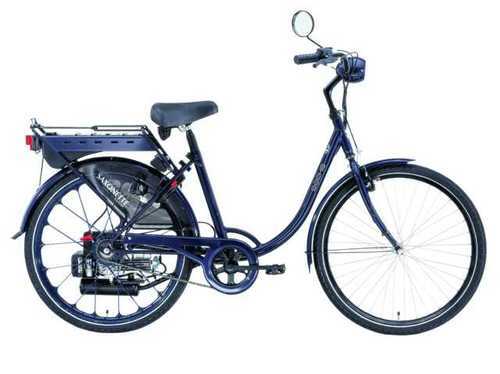 Production continued in Germany, culminating in the Saxonette Luxus, a premium version with shock absorber forks, electric start and other bells and whistles. In 2010, production of the Saxonette Luxus ceased. In 2013 Sparta reintroduced the Spartamet with Electric Ion Batteries. In Germany bikes with engine block cast under the heading Saxonette by Hercules / Sachs. A Spartamet can also pedaled with power on, and it can be pedaled with the engine off. The Spartamet is also referred to as “Met” and / or “Metje” by supporters. The advantage of the Spartamet is that it be used for many ordinary bicycle components. Bicycle Lights, panniers, dynamo, saddles, grips, pedals, and other parts are completely identical to ordinary bicycle parts. Sticking or replacing a front or rear tire is done in the same way as a normal bike. Spartamet drawback is that the carburetor is moisture- and dirt-sensitive. This can be a number of days has stood out as sure Spartamet problems. Also, the “With” not really suitable for two people, with the exception of the tandem version. Spartamet original Spartamet produced the first version from 1985 to 1999. Tandem with tandem version for two people. Saxonette Luxus last version produced by Sachs called Saxonette from 2001 to 2010. Saxonette Classic Firmer version and progenitor of the Luxus thicker wheels. Hercules Was the first on the market and can be considered as the German version of the original Spartamet. Rear wheel wheel size 26 inch (Was produced by means of the casting of aluminum).